2016 Yamaha YZ250X, 2016 Yamaha YZ250X THE ALL NEW ULTIMATE 2-STROKE OFF ROAD MACHINE The YZ250X provides the serious GNCC and Enduro racer Yamaha 2-stroke performance in a lightweight, off-road package. Features May Include: Stunning Two-Stroke Power, Tuned for Cross-Country and Hare Scrambles Racing All new for 2016: optimized for the unique demands of Hare Scrambles and GNCC® racing. The YPVS -equipped 249cc two-stroke engine is combined with a wide-ratio five-speed transmission for the ultimate Cross-Country power plant. Motocross-Derived Aluminum Frame Ultra lightweight YZ250-spec frame features carefully engineered combination of aluminum castings, forgings and extrusions for the perfect balance of rigidity and flex, with industry-leading fully adjustable, KYB® speed sensitive spring-type suspension tested and tuned specifically for the needs of cross-country racers. Racing Style and Ergonomics Aggressive bodywork carries the racing heritage of the latest YZ250 motocrosser with updated styling from front fender to the rear brake protector, and is ready to race out of the crate, complete with an aluminum tapered handlebar, YZ-F-style foot pegs, gripper seat, and off-road specific Dunlop® tires. GNCC-Specific features 18-inch rear wheel, sealed O-ring chain, wide ratio transmission, narrow expansion chamber, off-road focused tires and suspension settings, a standard side stand and fuel tank petcock with reserve position. 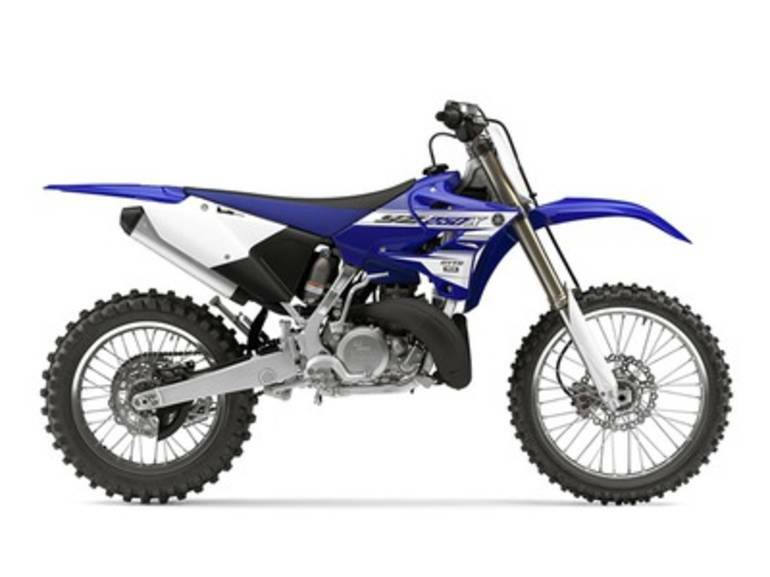 All Yamaha pictures are kind of Yamaha HD motorcycles picture was taken, including motor fuel gauge, engine, engine mounts, tires, fuel tank, the car handles, lights and so on, 2016 Yamaha YZ250X full-screen viewing,2016 Yamaha Motorcycles today Price: $7,296 .